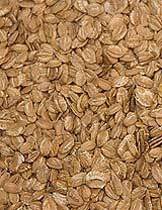 We are the leading Manufacturer of Ragi Flakes. Finger millet, locally called Ragi, is a whole grain, which is main source of Calcium and Iron. Finger Millet is also known as Nachni and Oriya. Our Ragi Flakes are made from clean and nutritious Ragi and having many health benefits.